No doubt, the Google Adsense is the best ad network available on the market till now. As you know, the AdSense is a Google’s property; and it's really a worth to become a part of it that offer good revenue to the bloggers and online publishers. People used to ask; how to increase AdSense earnings? How To boost Google Adsense income fast? How to increase Adsense incomes on youtube? How to increase Cost per Click (CPC) in Google AdSense? How to increase Adsense earnings per click? What are the best strategies to improve AdSense revenue? Any tricks and tips to increase Adsense earnings CPM, CPC & CTR? How to increase Page RPM Adsense? Tweaks to increase Adsense clicks, how to make more money with Adsense on youtube with videos? If your ad slots and ad designs perform well accordingly then, Google Adsense will be a moneymaking machine for you. There are the webmasters spending lots of time to increase their ad revenue without improving their traffic, and here only 12 small tips that have the capacity to double your AdSense income with existing traffic. Getting Adsense approval from Adsense is really a challenging task. Once the blogger achieves the same, the next goal is to increase the revenue from it. As Adsense is the top ad network company, it offers an extensive platform to gain more from ads. It offers a wide variety of ads and good CPS rates as compared to other ad networks. Well, in recent times, due to tough competition, it turned very challenging to earn good revenue through Adsense. You might get thousands of visitors daily but the money you receive might not be up to that level. This might be due to some mistakes for making money from Adsense. Here I listed the simple techniques to increase Adsense income strategies, I'm sharing my personal experience with Adsense that I got from last 5 years, and the journey of revenue from few dollars to 20$ to 30$ per day. I'll explain the practical methods how I doubled my Adsense earnings by making some changes in website template & settings of Adsense account. Anybody can improve their Adsense ad revenues up to 250%. Publishing an effective guide for making more money with AdSense without any extra effort. There are many ways to optimize your Adsense revenue. With some proven techniques it is definitely possible to experience at least a 150% boost in your present income. The only thing you need to consider is optimizing the Adsense while increasing traffic to the content. 1. High paying keyword selection for the web page. How to make extra money with Adsense? - In order to get high CPC value, it is necessary to select not only an appropriate but high paying keywords for the content. It is always recommended to write on the trending topics and current issues that the public would love to share. Trending topic improves click-through-rate and so social shares. Likewise, writing on trending, and targetted keywords is always beneficial. I recommend you to choose high CPC paying keywords while writing the content for your blogs. Such keyword niche will drive more traffic and definitely give you a massive opportunity to make more money from Adsense. Look for the keywords which have higher monthly searches and low competition. This way you will improve traffic and so the income. I would suggest you Google Keyword Planner to find the high paying kewords. 2. Target organic traffic from USA & UK. An organic traffic is highly recommended to get more money from Adsense account. the Adsense ads perform well and generate best results when the traffic is directly from the search engines and especially if it's from US, UK. For better content marketing, it is always recommended to focus on the audience of US and UK while writing the pages and developing the content for your blog. You must able to drive geo-targeted traffic to improve Adsense earnings. Whenever your pages are searched and get visited by the users from the US, UK countries, they able to see relevant ads on all your blog pages. Your ad slots serve the ads related to and associated with those countries. This will improve the higher bidding on your ad slots and so the ad revenue. If you get huge traffic from countries like UK and USA, you will definitely end up with high CPC. 3. Apply "AdSense For Search". Google Adsense offers several ways in order to monetize the content and "Adsense for search" is one of them. Like most of the pro bloggers, it is recommended to take advantage of different kinds of ad strategies offered by Adsense account. The "AdSense for search" is a free product by Adsense itself, that allows you to add a Custom Search Engine on your website to get the search or web results for the visitors searching on your site. It will help you to get more revenue as well as with user navigation. You can show search results on blog page as well as on Google search page within site. Both help you to increase revenue from Adsense. Adsense for search helps to increase your ad earning and on the other side, it allows your readers to find the content on your website. Just like the selection of the ads makes the revenue, similarly where you paste the ad is equally important. Displaying ads at the proper place is really very important. Placing and positioning the ads can affect a lot to the Adsense revenue. The ad placement that might able to generate more ad revenue on the heavy content page but it will not work same with the boost in Adsense income on the page having higher bounce rate. You always tend to try various ad spots and find which work better in different placements of your website. In order to generate passive income and get more clicks, it is always recommended to place ads at the right place. The best place is top of the article. As maximum time visitors do not go to the bottom of the page, it is the best place to show ads. So, keep adding one image immediately after the post’s title. Adding pictures at the end can also work great for many times. At the same time, one image needs to be added at the middle of the article. 5. Using "text ads" & "image/rich ads". It is not that only image ads grab more attention to clicks & can drive better results but according to many publishers, text ads work more prominent for certain niche sites. Just need to choose & display either text ads or image/ richer media ads derived by AdSense, or you could also choose recommended default option allowing Adsense to show both types. Then onwards, Adsense will show most performing ads with the highest bid independent of the ad type you prefer to show on your web pages. By tackling the ad type, it may lead to decreasing the competition for bidding prices on your ad slots. The end result decreases in the estimated ad revenue. Thus, it is recommended to use both types of ads. Moreover, you may examine both ads for a month, and according to the results for your own niche blog, decide to add the ad type that can more relate to the text of your content. Check out; Facts & Fixes in Google Broad Core Search Algorithm Updates | Sudden Drop in Website Traffic? 6. Inserting ads in-between the post content. In order to increase the revenue from Adsense you need to add AdSense ads between the blog post, it is always better to configure the ads - Adsense optimization. Making money with Adsense is one of the active sources for publishers, but for increasing the Adsense earnings and practicing at its full extent you required to place the targeted ads at right places in your site to increase your CTR & CPM that'll increase estimated Adsense revenue. You can change and configure the design of ads that can go perfectly matching with the page background and colors. Moreover, by adding "text ads" + "link ads" + "image ads" in the size of (300x250) + (720x 90 size); it can help boost your ad revenue. For better user engagement, it is always suggested that adding 5 to 6 quality images or a video while writing the blog post, not only to offer good user experience to your users but also to improve click-through-rate. The placement targeting is yet another proven technique through which you can experience boost in the Adsense revenue. You need to be careful while placing your ads so that the Adsense provides top CPC ads where your readers are most likely to click. When you create a channel, you get an option for adding more details about the ad types. Then it asks to put the ad for auction in the market by opting for the placement targeting. This increases the ad’s value and thereby clicks for your site. With placement targeting, advertisers prefer particular ad placements, or around the fold of the site, to display their advertisements. Such ads which are placement-targeted may not be relevant to the content, but those are chosen intelligently by advertisers to match between what your visitors are interested in and what advertisers can show. This is how Adsense work hard to maximize your CTR & CPM. It is the key to targeting ad placements that the users of your site click on your ads can have an effect on Adsense and it will then provide you the top-paying AdSense ads. All the Adsense publishers are not able to target high paying CPC keyword that gives high CPC. But if you are one of those getting low CPC, you can block these ads from the settings panel to increase Adsense earning. If you know of the ads, URLs & ad networks that are generating the lower paying CPC you can prevent them to show ads on your website by configuring the option of “Allow & block ads” shown in Adsense dashboard. In order to get ads only from those who offer higher pay per click, it is ideal to block the URLs paying very little per click. Such URLs are termed as ‘blacklist’. You can have your own blacklist of such URLs. Keep updating the low CPC Adsense list of URLs to block & increase earnings. You can block such advertiser’s URL and can experience a boost in the Adsense revenue. Here, in the Adsense feature, it is possible to block the ads those perform very poor. Like blocking URLs; you can even block such categories. It is recommended to block the categories that are serving ad impressions but producing only a pretty small income. The Adsense statistics provides the details about the percentages of ad views and estimated earnings for each category for the particular period. You need to check the reports according to the categories under which the ads are showing on your website. And if you find any category having the higher percentage of total impressions but low paying CPC then you need to block them directly. It is very easy to block the category with AdSense’s new interface. Through this feature, it is easier to see which categories of ads are performing poorly. So that, you can block such categories and can generate good revenue from quality ad-categories. The Adsense is a contextual ad network. It works is directly related to the content of the page along with the header and footer of the content. It is recommended to show the ads via Adsense that can relate to the context of the content. Targeting the ads to the content is the best technique to increase the revenue from Adsense. For targetting contextual ads and for matching the ads to the page content, the Adsense need to find what webpage is talking about and how it is structured using the content factors like the number of words used, keyword placed, font size and colors including the complete link structure of the page. It's better to use simple font style, size and few links interconnected to your internal pages and adding not more than 5-7 targeted keywords. If your content is visual or you are video publisher (Vlogger), YouTube can be a great place to boost revenue. Youtube is the most trending social network in the last few years. People are interested to see videos more than reading the text. If you use this, and make the videos out of your content and upload them with the URL added into the description, it will improve the traffic and also more page views. Moreover, uploading the videos to YouTube can help you to monetize your copyrighted videos. Depending on the traffic you get for your YouTube videos, you can earn quite higher. 12. Hire an Adsense optimization certified partners. Such tools can be helpful for you and can offer you increased revenue through Adsense. Your account approval mail from Google Adsense is the first step towards your success. Well, to keep your success moving upward, it is most important to do lots of hard work. With the above-listed tips, you can make your Adsense account strong. 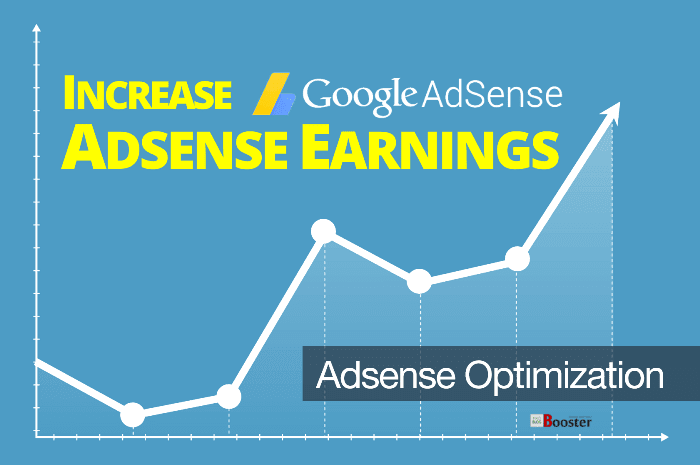 You can start earning more and more each month through your Adsense accounts. So, plan your new content so as to earn good amount through Adsense. Design your content accordingly; add relevant ads that can give you maximum returns. Block the ads those are not useful for you. Place the ads in right place. The end results will definitely in your favor.